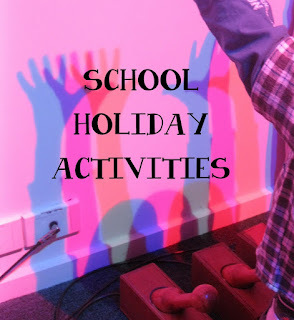 The school holidays are upon us- and I have put together some fun suggestions for how to keep the little ones entertained. Pictured above is one of the activities at Pioneer Stadium's The Southern Centre, a multi-sensory experience for all ages and abilities. My boys absolutely love this place! Booking are essential. Why not create a recipe using Griffins biscuits and submit it to the Little Bakers competition? A great excuse to get messy in the kitchen and teach the kids some filming techniques. Westfield Riccarton has some fun Peanuts themed activities in centre between 10:30-2:30. The first week you can make a birdhouse, and the second week is a Peanuts Jigsaw. Monty the Monkey is also walking around, so be saure to say hi! If you are looking for some outdoor activities, head along to the Tothills Maze for the Find Ken the Kiwi challenge- Ken the Kiwi is in the wooden maze and if you can find him, you can enter the draw to win a prize! There are also special school holiday family packages - 2 adults and up to 3 children for $49. The Breeze Walking Festival is back, and the Pukeko Stomp on Wednesday 7th October is an easy walk. Shake your tail feather as you skip, walk, hop and stomp your way around Travis Wetland to find Perky the Pukeko and friends. Enjoy storytelling and fruit kebabs along the way. A perfect outing for babies in buggies, young walkers and their families. Get your children involved with arts and crafts by popping into The Make Company Imagination Station where your child can make a mask, a rocket, a mermaid or one of 16 other crafty options. Priced from $3-$12, you are sure to find something fun to create. You can even purchase kits to take home, which is a great idea for young ones who are stuck at home due to sickness. I hope these give you some ideas- what do you have planned for the school holidays?